We are going to have an interactive and informative afternoon of aromas. After this 2 hour workshop, every participant will have made their own created products to take home in glass bottles. We will work on two products: a Body & Face Lotion (50ml) and a Hair & Body Wash (50ml). All unscented products and esstential oils we will use are from the well-known good quality & ethical brand Neal's Yard Remedies. This is a family-owned UK brand with their easy-to-recognise "Blue Bottles”. Their products are vegetarian and/or vegan friendly, cruelty free, organic, soil association approved, with NO microbeads or parabens, NON-GM, and NO synthetic fragrances or colours. All unscented products and essential oils we ...will use are from the well-known good quality & ethical brand Neal's Yard Remedies. This is a family-owned UK brand with their easy-to-recognise "Blue Bottles”. Their products are vegetarian and/or vegan friendly, cruelty free, organic, soil association approved, with NO microbeads or parabens, NON-GM, and NO synthetic fragrances or colours. Why is the workshop called "Make Scents Make Sense"? Because we are going to cover the following topics before we make our own products. 3. 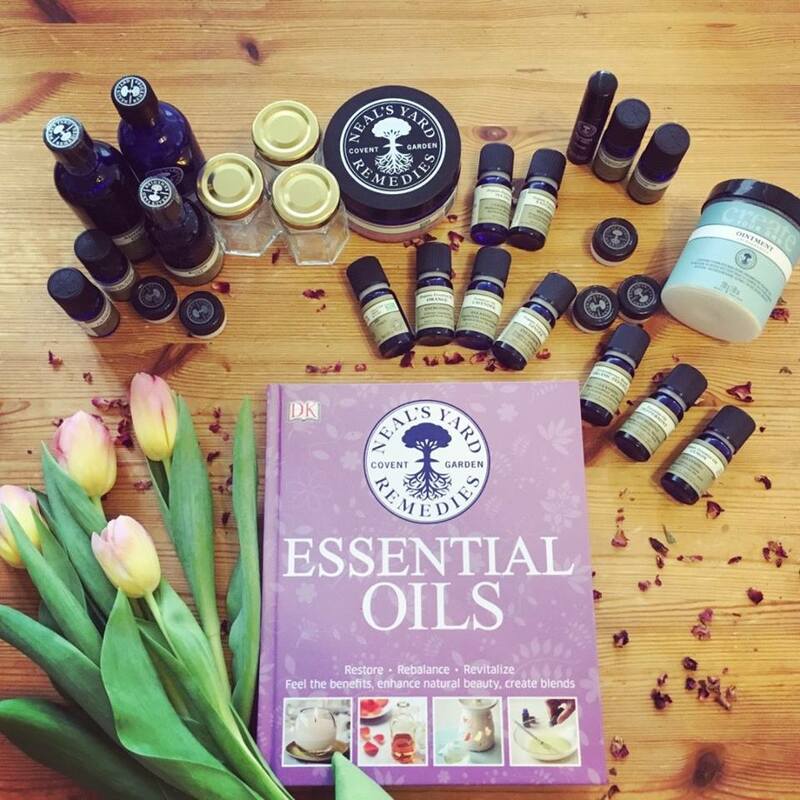 How do essential oils work to support our wellbeing? 5. How to use essential oil safely in our daily life. What are the contraindications? If you really enjoy creating your own products, you can buy and make extra bottles while you are with us or bring them home to continue your aroma exploration. We also have Bath Oil, Ointment, Massage Oil for you to buy and create extra bottles. We have Q & A section. Although the workshop will be finished at 3:20pm, we can stay behind until 3:50pm if you would like to. The fee covers all the tools you need in class. This workshop is purely for personal daily care only. Not medical advice or prescription. We will not diagnose health conditions, nor prescribe medicines. This not a certified workshop to use the oils with the public but to enjoy them safely and creatively. Your body is your responsibility. If you have any health concerns, take medication, is pregnant please get advice through a specific consultation with a qualified aroma therapist. Always receive advice from your health provider before using taking new remedies or starting a new exercise regime. Look forward to seeing you all ! This workshop is purely for personal daily care only. Not medical advice or prescription. We will not diagnose health conditions, nor prescribe medicines. This not a certified workshop to use the oils with the public but to enjoy them safely and creatively. Your body is your responsibility. If you have any health concerns, take medication, is pregnant please get advice through a specific consultation with a qualified aromatherapist. Always receive advice from your health provider before using taking new remedies or starting a new exercise regime.